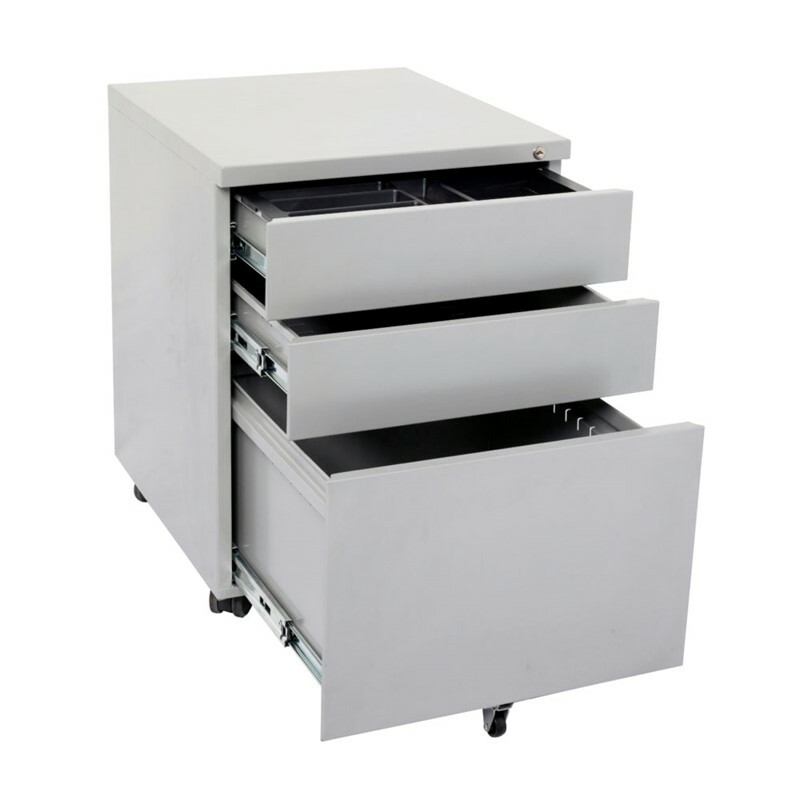 The Go Lateral Filing Cabinet is built to sit at desk height but provides the same capacity as a vertical 4 drawer filing cabinet. 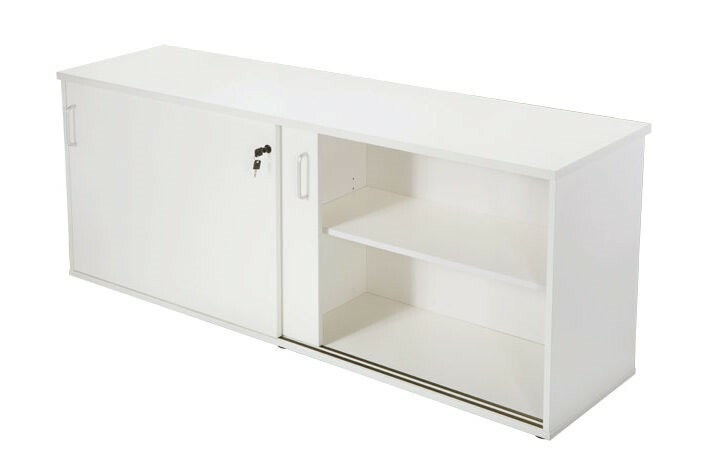 Built at desk height bench the Go Lateral filing cabinet has the same capacity as a traditional 4 drawer vertical filing cabinet with a lower and longer profile. 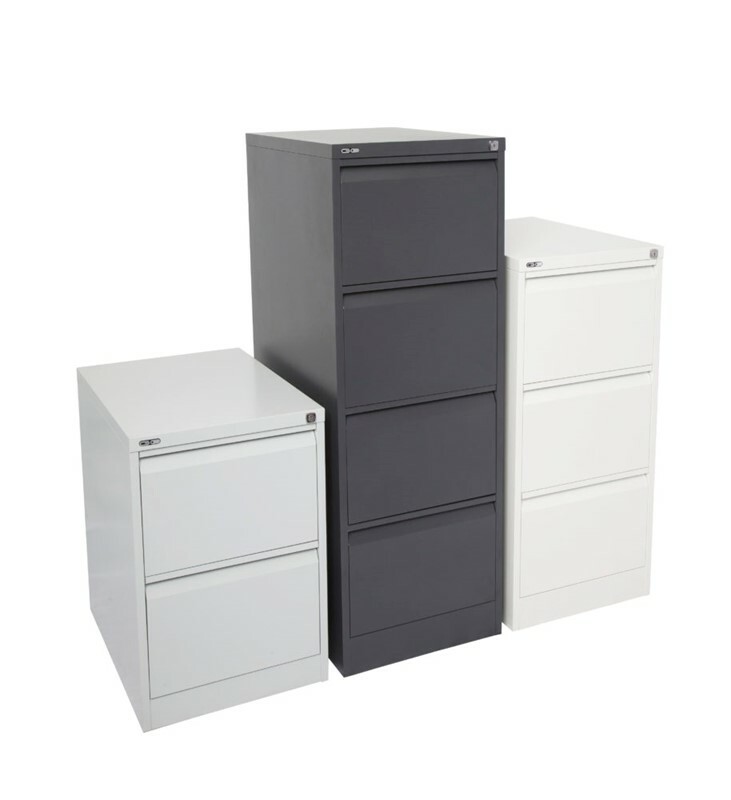 The Go Lateral Filing Cabinet is developed with a longer and deeper profile so you can get all the benefits of a four drawer filing cabinet, but at a more comfortable desk height. Built to meet the toughest work settings with riveted construction for extra strength, there is nothing the Go Lateral can’t handle. Heavy Duty ball-bearing runners will make sure the drawers slide in and out with ease all throughout the day. Choose from stylish colours such as white and silver grey.